We’ve just made the latest version of MailStore live on our site and if you, or perhaps your customers, are users of Google Apps, it’s one I highly recommend you download. The ability to archive Google mail isn’t completely new to MailStore, however in previous versions, each mailbox would need to be archived individually, requiring a separate archiving ‘job’ and manual entry (and ongoing maintenance) of username and password credentials. 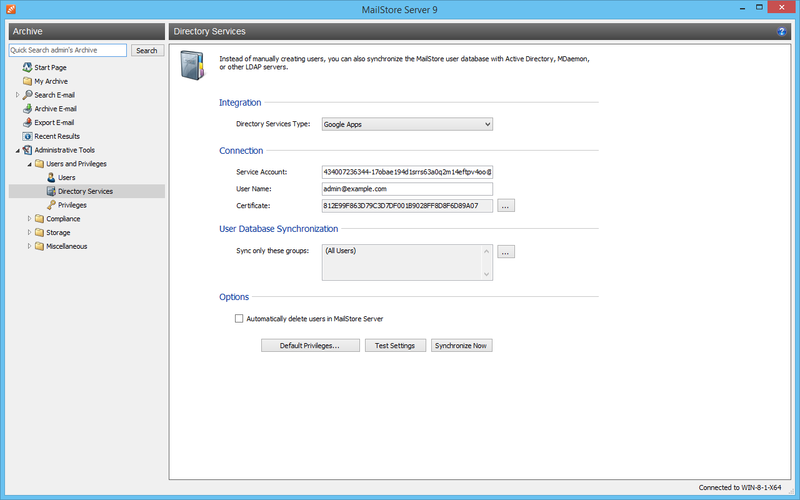 In version 9.1, the German developer have now made the whole process a breeze. What are the challenges associated with using Google Apps for company email? Moving to cloud-based email services can present a range of challenges and considerations for most businesses. MailStore 9.1 can help here and essentially enables administrators to use Google Apps platform but to also keep a copy of all email that comes and goes from their business, satisfying compliance requirements too (if that’s applicable). 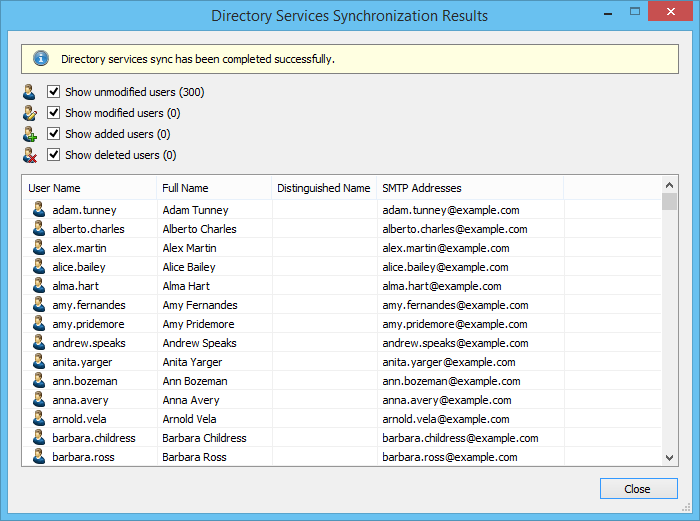 New in version 9.1 are the options to archiving either individual, multiple or all mailboxes in a single archiving job, without the need to provide access credentials for each one. MailStore Server now uses a central “System” account for authentication with Google Apps, eliminating the need for administrators to manually enter and then maintain each user’s username and password. 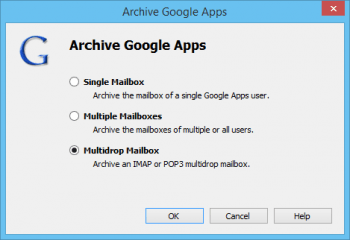 Alongside the Google Apps account, MailStore also needs an account of it’s own for each user wanting their email archived. Where you would previously have needed to enter the credentials manually, MailStore now has the ability to automatically synchronised directly against the user database within Google Apps. The beauty of this approach is that users can simply log in to MailStore (only required once in most cases) using the same credentials they’ll be using for their Google account. If the Google apps user account password changes then this is automatically reflected in MailStore, so there’s no need to worry about updating details. If you’re required to meet compliance requirements, ie. you absolutely cannot risk any mail being tampered with or deleted, Google Apps provides the means to set up ‘journaling’. Slightly different to Exchange, journalling in this context is taking a copy of all email flowing through an account and then sending it to an external address, which can be any IMAP account. 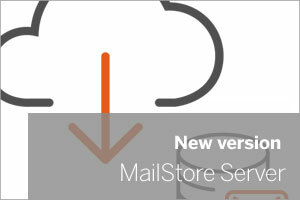 MailStore version 9.1 can be configured to automatically archive this external IMAP mailbox for new email and archive all messages it contains sorting it into each MailStore users archive. Its worth noting that Internal email sent between Google apps users is also archived in this way. MailStore have created some great accompanying documentation for this latest release so take a read of the new whitepaper and if you’re ready to test with a Gmail account, take a look at the step-by-step setup guide. As always, we’re on hand for UK customers so if you need any help please feel free to get in touch or drop a note in the comments section.